October 20, 2018 By Stacy Leave a Comment By clicking on our links, we might make a SMALL commission - Thanks for the support! See our full DISCLOSURE here. 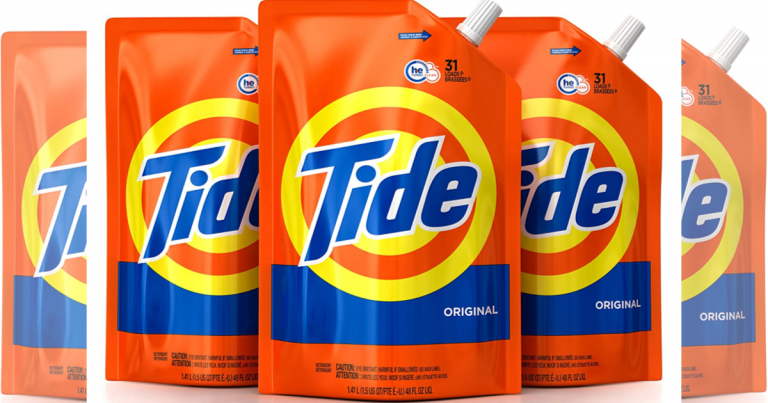 Amazon has Tide Liquid Laundry Detergent Smart Pouches, 93 Loads as low as $13.29 (Reg. $19.99) when you clip the $2 coupon and check out with 5+ Subscribe & Save subscriptions in a month. Shipping is free! Tide Original Scent is a powerful liquid laundry detergent that is formulated with HE Turbo Clean technology for 6x the cleaning power in half the time.